Struggling to keep on top of all the changes to social media video specs? Video is increasingly crucial to a successful social media marketing strategy. According to a recent survey, spending on digital video ads has grown by more than 50 percent over the last two years. Advertisers today spend more than half of all their digital/mobile ad dollars on video. But as platforms release new video ad formats and update old ones, it can be hard to keep up. 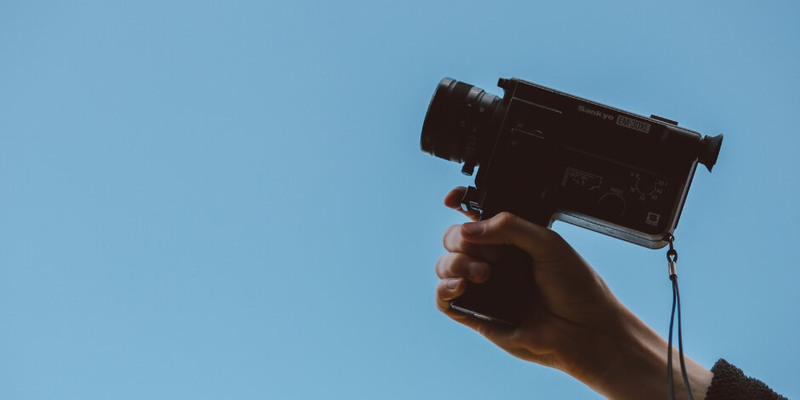 Tailoring your video to each platform’s specifications and making sure that your content is looking its best can be a real challenge. But not if you use our guide to social media video specs. Read on to find the most up-to-date video specifications for each of the most popular social platforms. Optimizing video content for Facebook is tricky, mainly because of the many different ways it delivers video to its users. When you buy a video ad on Facebook today, it could appear in dozens of different formats (in someone’s mobile news feed, in the sidebar on the desktop version of Facebook, or even in someone’s inbox on Facebook Messenger). It pays to become familiar with the varieties of Facebook video and to find a delivery format that matches your campaign goals. Tips: For best results, Facebook recommends uploading videos in .MP4 and .MOV format (see a full list of supported file formats here), with H.264 compression, square pixels, fixed frame rate, progressive scan, and stereo AAC audio compression at 128kbps+. Videos can be up to 240 minutes long, up to 4GB large, and have a maximum frame rate of 30fps. Tips: If the camera you recorded your video on automatically includes 360 video metadata with the video file, you can upload the video like you would any other video. If it doesn’t, click on the ‘Advanced’ tab when uploading to bring up Facebook’s ‘360 controls’ tab, which will let you convert unformatted footage into a 360 video. Tips: For in-stream ads, Facebook recommends uploading the “highest resolution source video available without letter or pillar boxing.” Facebook provides an exhaustive list of aspect ratios and features available for each ad type. Tips: Facebook recommends uploading “the highest resolution video available that meets file size and ratio limits.” Videos can be up to 240 minutes long, up to 4GB large, and have a maximum frame rate of 30fps. Tips: Carousels let you showcase up to 10 images or videos in one ad, without having the user navigate to a new page. For best results, use a 1080 by 1080 pixel square (1:1) video. Tips: Collections are a new ad type that makes it easier for users to browse and purchase products directly in the Facebook feed. You can choose to have your video autoplay when a user scrolls over your collection, and clicking the video will open Canvas, a full-screen experience designed to drive traffic directly to your product pages. Tips: Similar to Facebook’s instant articles, clicking on a Canvas ad immediately triggers a full-screen experience, to which you can add buttons, carousels, photos, text and video. Video and audio will automatically play when you scroll past it inside Canvas. Tips: Designed for audiences with slower internet access, slideshow ads let you transform a series of 3-10 images and a sound file (supported formats: WAV, MP3, M4A, FLAC and OGG) into a video ad. For best results, Facebook suggests using the highest quality images possible, all the same dimensions (ideally 1280 x 720 pixels or an image ratio of 16:9, 1:1 or 2:3). If you use different sizes, the slideshow will be cropped to be square. Instagram supports three kinds of video: square, vertical and horizontal. If you’re not sure which way to go, you’re probably better off choosing the square format, which is becoming increasingly popular with marketers. Square videos are more suitable for viewing on both desktop and mobile, they take up more room in user’s feeds than horizontal videos, but don’t crowd the entire screen like vertical videos do. Tips: Instagram has the same recommendations for video as Facebook—upload the highest resolution video possible that fits file size and ratio limits, H.264 compression, square pixels, fixed frame rate, progressive scan, and stereo AAC audio compression at 128kbps+. Tips: Like Facebook carousels, Instagram carousels let you showcase at least two and up to 10 images or videos in one side-scrolling ad. Tips: These videos appear between Instagram user stories for up to 15 seconds (or until dismissed) and take up the whole screen. Because stories are tailored to the size of the device, exact dimensions are hard to predict. Upload the highest resolution video possible, and consider leaving the top and bottom 14 percent (roughly 250 pixels) empty of any important information, so that it isn’t obscured by the profile icon or call to action. Twitter is optimized to handle video captured on mobile devices. If you’re uploading video that was recorded a different way, be sure to consult Twitter’s detailed guidelines for uploading video at each bitrate. For best results, upload the highest resolution video you can under the file size limit (512MB). Recommended specs: same as above. Tips: These ads appear in discovery, in live stories or after a user’s own story, and can link to an app installation page, article or long-form video. Make sure to avoid placing logos or any other important elements in the top and bottom 15 percent of the video, to prevent them from getting cut off. Snapchat also restricts videos with letterboxing, and text/graphics that encourage the user to “swipe up” (click here for a complete list of restrictions on video). Tips: Longform videos must contain “live and/or motion graphic video” (no “silent or still videos”). Although horizontal videos are permitted, Snapchat strongly suggests using vertical videos only. YouTube provides a full list of recommended bitrates for YouTube uploads here, and a full list of supported file formats here. Tips: Promoted videos will autoplay without sound on loop in the Pinterest feed when they are 50 percent in view. Tapping the video will cause a larger version to play with sound (no looping). Videos are currently only available for mobile devices. Put these up-to-date social video specs to use with Hootsuite. Easily upload, schedule, and promote your videos across multiple social networks from one dashboard. Try it free today. Nick is a content writer from Toronto.